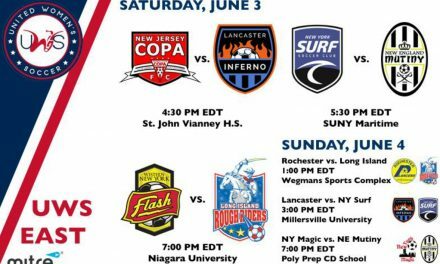 BROOKLYN, N.Y. – The New York Magic is still looking for its first win of the United Women’s Soccer season as the Lancaster Inferno recorded a 4-1 victory at Poly Prep Country Day School Sunday. James Madison University forward Haley Crawford scored four goals to lead the visitors. 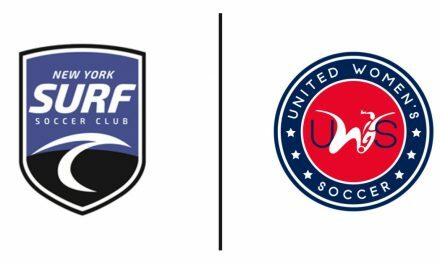 In the 12th minute, New York (0-1-1) got on the scoreboard first when forward Lissette Rodriguez sent forward Eboni Birch in on goal with a through ball from 20 yards, beating goalkeeper Kelly O’Brien. Crawford tied it on an assist from St. Francis University midfielder Siobhan Bross 10 minutes later and in the 40th minute had her second goal assisted by defender Trisha Clark. She completed her first-half hat-trick in the 44th minute on an assist from midfielder Emilie Kupsov. The Magic played an offsides trap that caused problems for the Inferno attack as it disrupted its rhythm, causing 12 offside calls. But the visitors added a goal in the 51st minute, as Crawford tallied her fourth. Lancaster (1-1) out shot New York, 6-5. 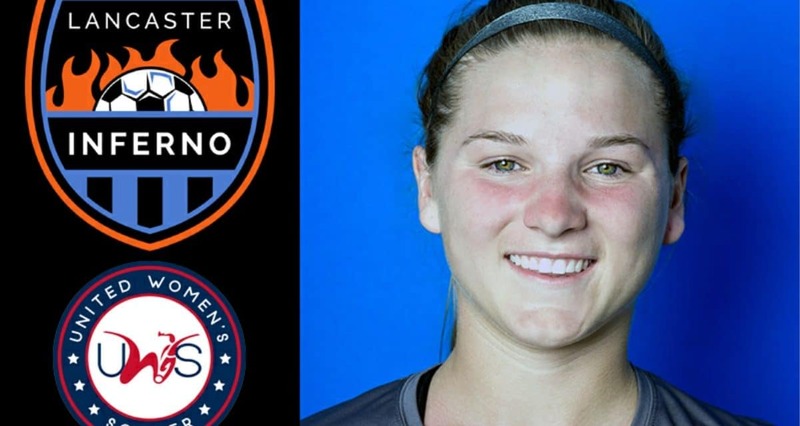 Magic keeper Sierra Bonham made two saves. 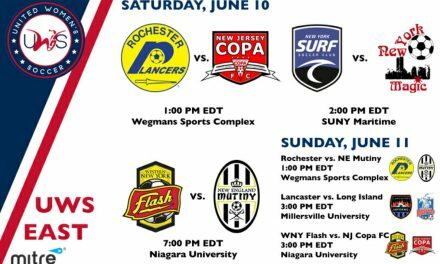 New York played a 1-1 draw in its season opener at the Rochester Lady Lancers last Sunday, 1-1.